To enlarge, click Ctrl and '+'. To restore, click Ctrl and '0' (zero). Bob Moon (standing), Lindsey Wilson, Tony Sweeting. RF. 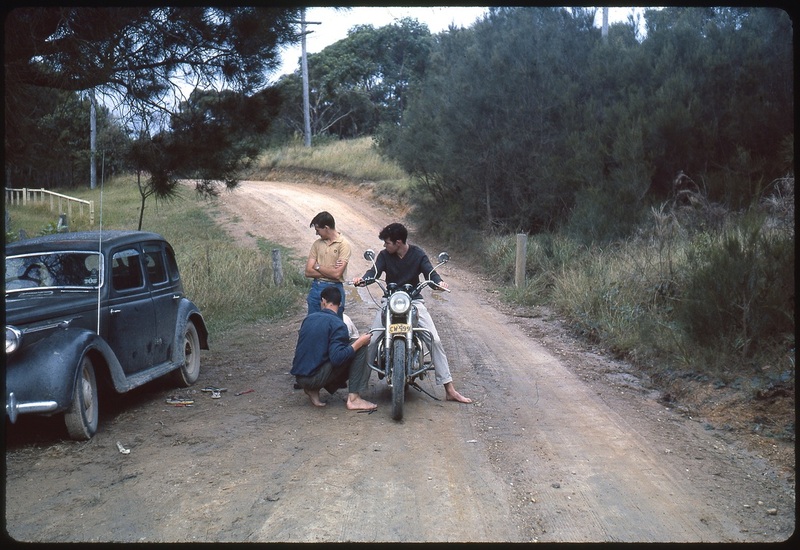 Two photos of the same stretch of road, outside 119 Annetts Pde Mossy Point. 1963 and 2014. RF. Car radio aerial pennant 1965. RF. 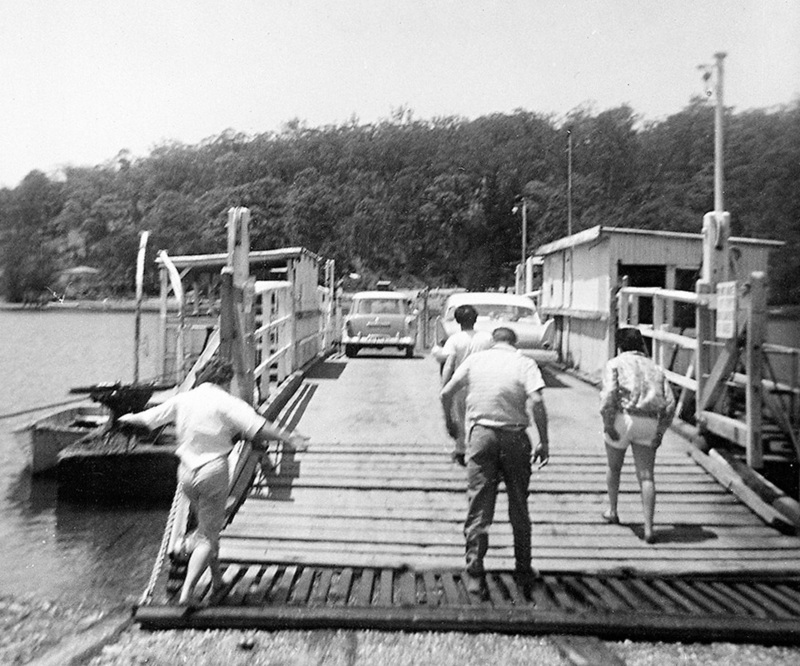 The bridge over Candlagan Creek was officially opened at the beginning of 1966. 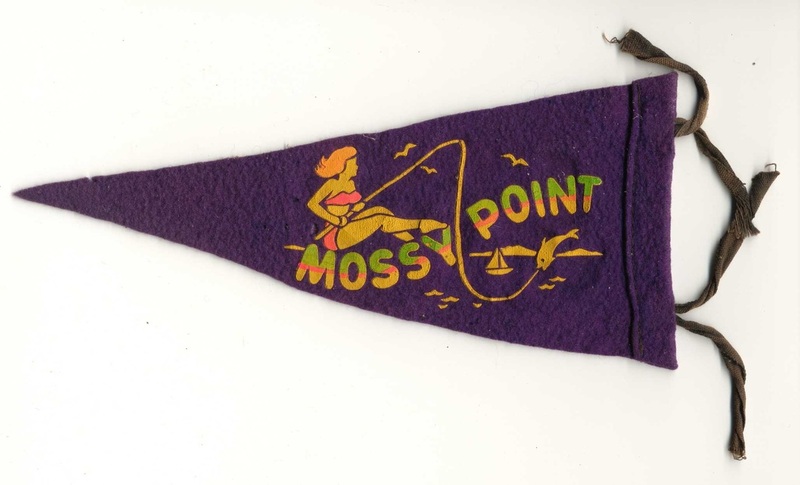 The old Mossy Point road was gravel, the Broulee Road was sealed, so with the bridge travel to and from Mossy Point could be on a sealed road. From a 1966 postcard. RF.